The Mozartsteg is a footbridge named after Wolfgang Amadeus Mozart. It was built in 1903 as a toll bridge. The toll booth next to the bridge is still existing and serves as a small shop now. 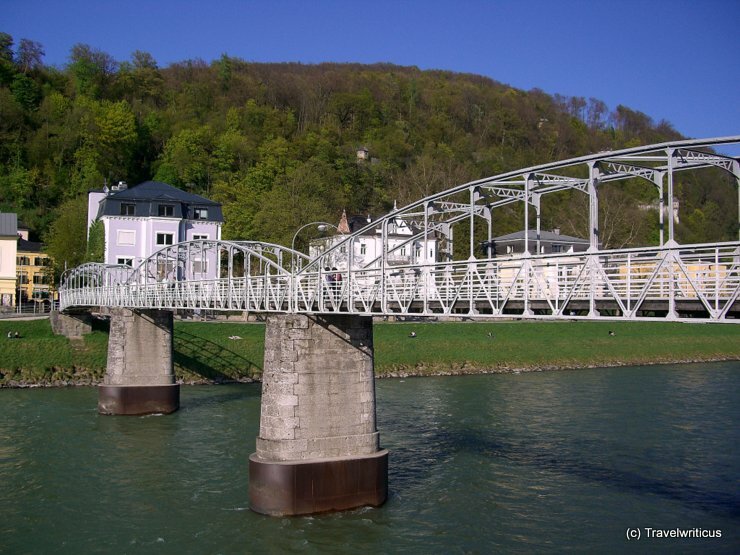 This entry was posted in Bridges and tagged Austria, Salzburg, Salzburg City by Travelwriticus. Bookmark the permalink.